Our Web Design Certificate Program was created by an advisory board of web designers and managers from the area’s leading employers and by a team of instructors with deep industry experience. This challenging program teaches skills that are directly transferable to the workplace. Hands-on classes offer high-level training in the most current industry practices and emphasize learning by doing. Instructors are respected professionals currently working in the field. See an Overview Table of required and elective courses for more details. Courses in the program may be taken individually or as part of the full certificate program. Required courses comprise 177 course hours and focus on User Experience/User Interface, effective web design, HTML5, CSS3, jQuery, scripting, and more. Note: The program components for this Certificate have been updated beginning Winter Quarter 2016. Please see the Overview Table for a summary of changes and guidance for students who enrolled in the Web Design Certificate program prior to Winter Quarter 2016. The Bellevue College Continuing Education Web Design Certificate Program offers a breadth of classes that can’t be found in other web design programs. 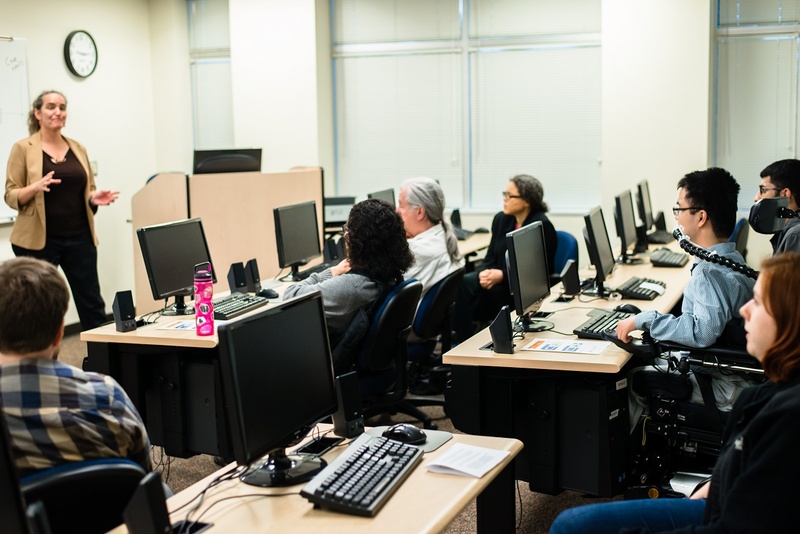 Unlike other programs, BC CE’s program includes courses on user experience design, responsive design for a variety of devices, search engine optimization, and web accessibility, all of which are critical skills for any web design professional. The program offers a broad range of non-required courses as well, including courses in web analytics, Adobe graphic design tools and WordPress. The program culminates in the Capstone course, which focuses on completion of the Capstone Project. In this project, students build a website for themselves or the client of their choice. The project highlights the skills acquired in the other courses in the program and helps the student to prepare for a final class presentation on their design. Satisfactory completion of the Web Design Capstone Project is required to receive the Web Design Certificate. The program’s small classes let instructors give students personal attention. Classes are taught during evenings and weekends to accommodate the schedules of working professionals. Our flexible program lets you start any quarter you like and finish at your own pace. You can take as few as one or two classes a week. Although the program can be completed in as little as 3 quarters (9 months), you may take as long as 3 years to earn your certificate.